The belief in pushing people to the brink of their existence in order for them to achieve greatness is, nowadays, no more than a platitude recycled to the point of it being a cliché. However, Yak frontman, Oli Burslem’s financial and psychological sacrifices spent constructing a sophomore record serve as a testament to its truth. Pursuit of Momentary Happiness succeeds its predecessor in the face of adversity as a more expressive, stylised affair, blending 60s psych-rock influences with piercing lyricism to complement a hard-hitting rock foundation. Bursting onto the scene with frenetic, shoeless live shows in 2014, Yak’s debut LP Alas Salvation (2016) saw their fast-paced, rhythmic rock earning them a bevy of festival slots. However, with Burselm’s long-time friend and bassist Andy Jones’ 2017 departure, a series of speed humps were to follow. 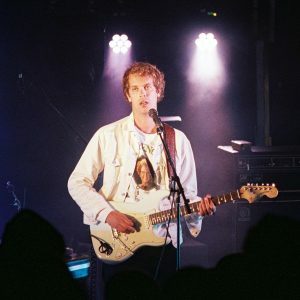 After a failed attempt at coaxing Jones back, a chance meeting with Pond and Tame Impala member Jay Watson resulted in recording sessions at Kevin Parker’s Perth studio that, surprisingly, proved fruitless. Burslem thus returned to the UK moneyless, homeless, and album-less. 18 months later, another chance encounter with Spiritualized mastermind Jason Pierce pushed them into re-recording with Björk producer Marta Salogni. Another last-ditch trip to New York to remaster the record paid dividends with Burslem and co. managing to produce a heartfelt document detailing the sacrifices one makes for their art. Album opener “Bellyache” is a strong start, teeming with influence from Watson’s Pond. The psychedelic jam, combining flutes and distorted wah-wah pedal, skulks along with nervous agitation, ready to burst at its unpredictable pre-chorus seams. What was once believed to be the final Yak recording due to diminishing funds makes its near deranged vocal delivery instantly empathetic – “If you’re going for broke just make sure you don’t choke”. It’s in the face of such scarcity that Burslem’s lyrical waxings on greed and overconsumption drive just as hard. Soft acoustic strums introducing “Fried” play a perfect decoy to the explosive baseline and grungy guitar that follow. 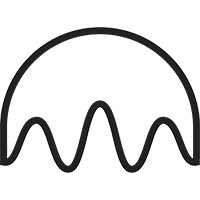 It’s these agile turns of energy that enable the listener to bear the burden of responsibility placed on their shoulders by Burselm’s assertions – “What you got is what you make it”. The album’s title track, by contrast, is a sedate, dreamy ballad. Slinky bass and arpeggiated guitar underscore the heavily reverbed vocals conjuring a cynical lullaby; “Are you tired of being pissed and confused, vaguely amused?”. It’s through these commentaries on 21st Century struggles that Burslem’s writing shows itself to be one of Yak’s most worthy attributes; “It would be easier if nobody felt a thing, no love no loss nothing, if nobody felt any pain, but that just isn’t living”. “Words Fail Me” bears a resemblance to Roy Orbison with a progression straight from the 60s. Arpeggiated chords, vibrato effects pedals and sparse drumming are all show Burslem’s range and attention to detail as a songwriter, as soft, tender verses build deliberately into outpourings of lament. Contrast, again, is key with follow up “Blinded By The Lies” bearing a heavy-handed drum and bass pairing, overflowing with disdain against extortion. Shards of grunge guitar peppered throughout the verses and heavy feedback used to garnish the alt-rock style resembles a revamped The Cribs and has the listener clamouring to the call to arms to “kick ‘em in the face”. “White Male Carnivore” is as potent a track as any, poignant and powerful in sound and purpose. A grungy distorted affair with heavy bass, the Wolverhampton native riffs derisively against those endowed with white male privilege; “You’re some kind of animal, with no pain threshold, you are the glass house throwin’ stones”. The final passage elevates the tempo emulating a collision intended to topple the patriarchy in a similar vein to Idles from last year. Driving bass acts as a palpable heartbeat on the psych-rock track “Pay Off Vs The Struggle”. Verses bubble before boiling over into the animalistic energy of the chorus, signposted nicely by a trumpet-infused ascending pre-chorus. Another chant “get off my back” pervades these frantic passages, serving as an anchor for the listener to cling to. “Encore” is a gentle, jazzy affair with a descending progression replete with guitar flourishes that cradle all the way through. Seemingly a love letter to fans, Burslem acts to bridge the understanding between punters regarding how much of himself he pours into each performance; “You gotta leave when your audience wants more, you know that you can’t give them quite as much as you did before”. A seamless transition sees the band pivot once again into the Kasabian-esque riff of “Layin’ It on the Line”. Whilst sounding slightly dated, a heavier conclusion takes things by the scruff of the neck to finish with an idiosyncratic flare of angst that mirror the struggles the front man has endured; “I’ve been scolded, I’ve been bruised, I just keep on keepin’ on”. A drum machine and synth pairing show a nostalgic side on closer “This House Has No Living Room”. Its first six minutes begin as down-tempo electronica before shifting into the retro rock Arctic Monkeys have made famous more recently. Flourishing trumpets and Spirtualized’s Jason Pierce all support Burslem’s soaring vocals, before the final two and a half minutes involve jazzy inflections wandering around a single synth chord and a slowly pulsating collection of arpeggiations. Due to its relative length, the final minutes fall short of the punches packed throughout the rest of the record. Though slower tracks feel relatively devoid of spirit, there remains an indefinable emergency permeating the album. Further coloured with criticisms on contemporary culture and permeable imprints from assisting artists, Pursuit of Momentary Happiness is an album that affords far more pleasure than its title implies.